Jeremiah served as a prophet for more than forty years, from 627 BCE to about 586 BCE, furing a period of political and social turmoil. Leah Larson Nurtured a passion for truth and journalism, so she created Yaldah, a magazine for Jewish girls. Teshuvah Wizard Follow the simple steps outlined by the Teshuvah Wizard and become the best person you can be. Jeremiah was jailed twice because of his religious and political views. “…I am a constant laughingstock. Everyone mocks me”	(Jeremiah 20:7). “You will call Me and come and pray to Me; I will give heed to you. You will seek Me and find Me, if only you search for Me with all your heart. 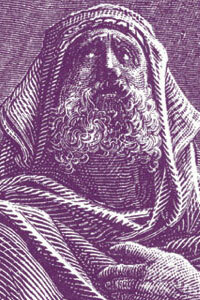 And I will allow Myself to be found by you, says Adonai….” (Jeremiah 29:12 – 14). Taught that the Torah, not the Temple, is the foundation of Judaism. This created the basis for the Israelite religion and Jewish survival not only in Israel but also outside of Israel, in the Diaspora. Born about 640 bce in Anatot, a town just north of Jerusalem.